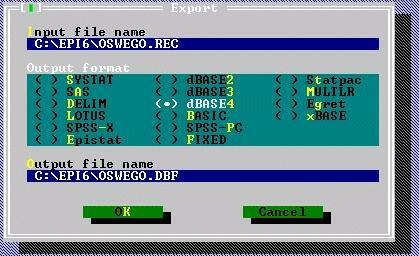 Do you have an existing Database system written which is showing its age? Bluebird can upgrade the system with no loss of data and provide you with additional reports, security measures and user friendliness but keeping the essentials of the existing system. Is your database system tuned to the way your staff work? Can you share your Database properly? Databases are designed to be shared by several people at the same time. This means several people can add new records or change information simultaneously. If you can’t do this, then you are not getting the best use from your system. Does your database do a good job of presenting and analysing the data? Do you have to give someone a special task to come up with the Sales Figures for the last quarter? Do your staff resort to taking snapshots of tables and copying them into Excel so that they can analyse the data? Do you have to prepare documents such as statements and form letters manually? Can a new member of staff start using the database straight away or do they need a long induction period? Do they have to remember items like Customer Codes and Product numbers? Is it easy to search for data even if the information they have is incomplete? Is it overcomplicated with features you don’t need or want or slow you down? Are the forms attractive and well laid out? Is the writing too small? Does the programmer think that a bright purple or fluorescent pink background is really cool ? Alternatively, are all forms a uniform grey? Is it easy to enter data without having to use the mouse? Do the forms use the space available to the full or occupy only a small portion of the screen? Does the database get corrupted often? Do you have to go out of the database and then go back in? Do you frequently have to ‘Compact and Repair’ it? Is the database slow? Does it take a long time to open? Does it crash or lock-up frequently? Large databases are slow to open and slow to save data. They are more likely to get corrupted. Large databases are often due to poor design, saving unnecessary or duplicate information. – and restore it from backup files in an emergency? Do staff need to access the database from their laptop or smartphone no matter where they are? Would your business run better if they could? If you are having problems with any of these, let us know. Bluebird are happy to offer a free consultation to discover your requirements and design the best solution. Ring us now on 020 8349 4714.